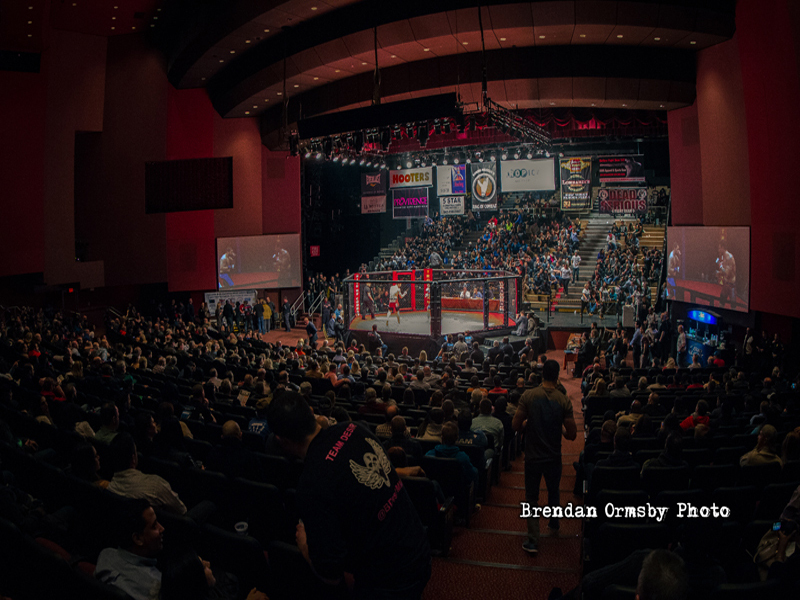 Ring of Combat is a leading MMA promotion with a key demographic of 18-45. This unique Mixed Martial Arts competition is a new and innovative way to attract attention to your company’s products and services. The thousands of men and women attending the event will associate your company’s name with a disciplined, healthy, wholesome and exciting established sport. With its competitiveness, excitement and entertainment, Corporate Sponsors will have a positive association for their brands by aligning with the worlds fastest growing sport, MMA! For any inquiries, please email Lou Neglia direct at lou@louneglia.com or call 516-458-4989. 5’ x 3’ company banner displayed in arena (provide by company). 3 bout sponsorships including 1 championship bout presentation by an executive of your co.
Company logo on all event promo materials. Logo placed on ROC website linking to company site. Logo on canvas and corner pads. Vendor table to sell, display and/or give away company products. Round card girls will wear sponsor supplied outfit. Company name to open and close event! 5’x3’ company banner displayed in arena (provided by company). Company t-shirt supplied by sponsor to be worn by round card girls and thrown to audience. 2 bout sponsorship including 1 championship bout presentation by an executive of your co.
Advertisement in the event bout sheet. Company name mentioned by ring announcer throughout the event. 5’ x 3’ company banner displayed in arena (provided by company). One bout presentation by an executive of your co.
Buisness card or company name and/or logo advertisment in out event bout sheet. For any inquiries, please email lou@louneglia.com or call 516-458-4989.